NO. 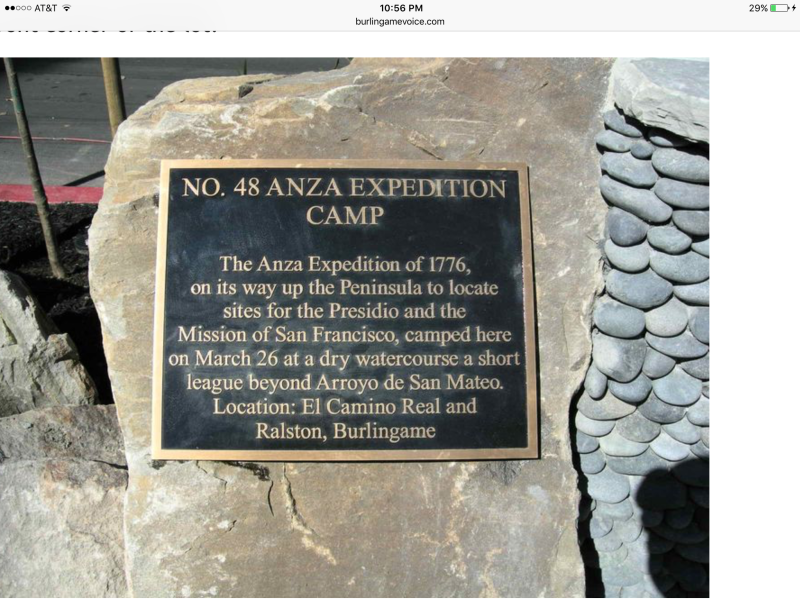 48 ANZA EXPEDITION CAMP - The Anza Expedition of 1776, on its way up the peninsula to locate sites for the Presidio and Mission of San Francisco, camped here on March 26 at a dry watercourse a short league beyond Arroyo de San Mateo. 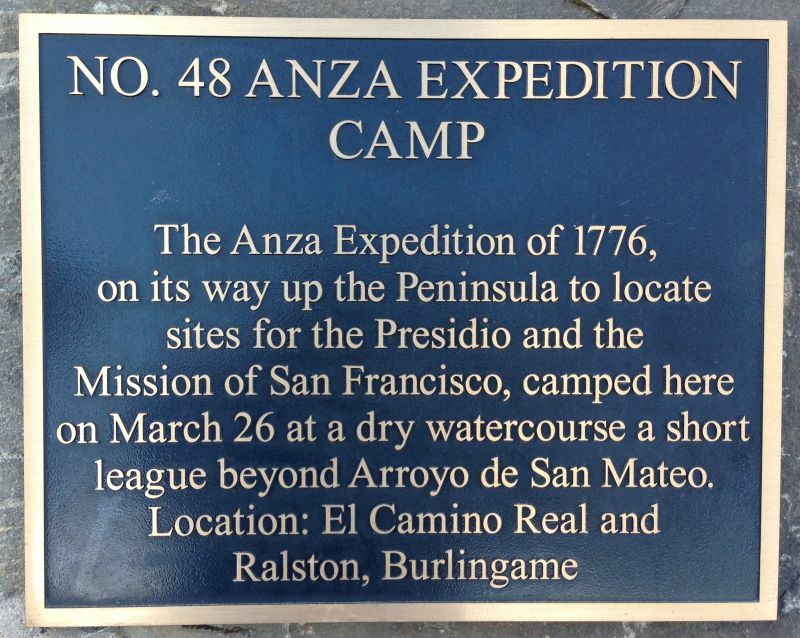 The guidebook lists the site as El Camino Real and Ralston, Burlingame. 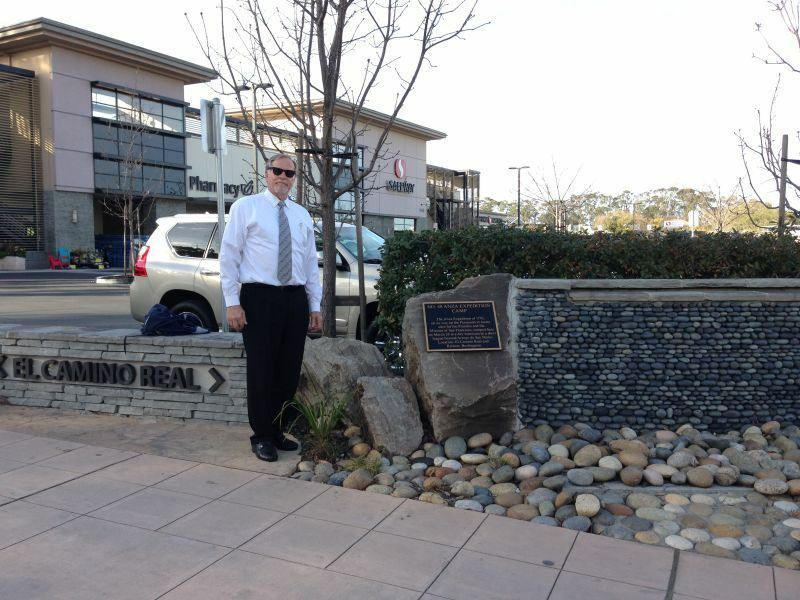 The is a plaque located at the north east intersection of El Camino Real and Houston. First visit was in April 2008. 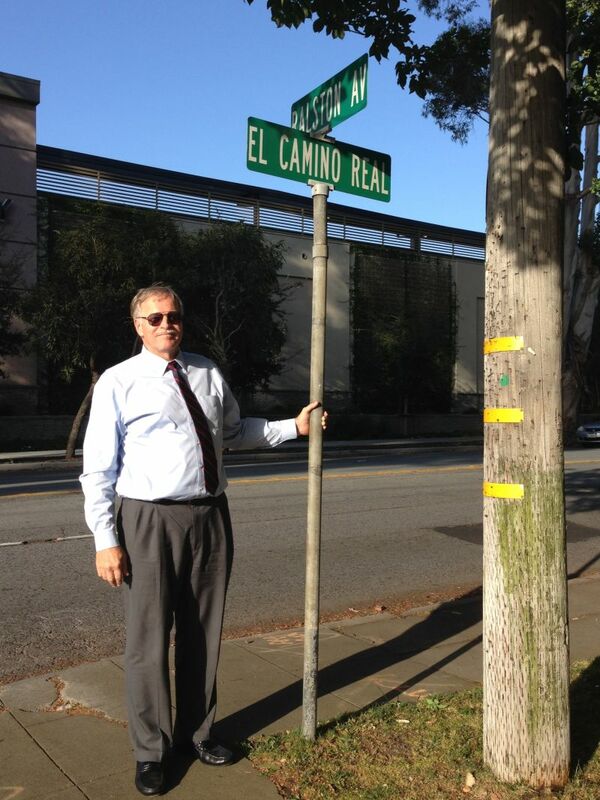 We returned after we learned from Donald Laird that there is a Plaque at the north east intersection of El Camino Real and Houston.